The Read On. Get On. 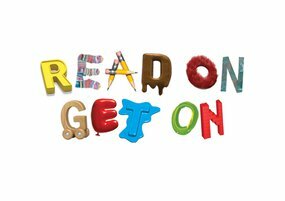 (ROGO) coalition has created a top tips resource for primary school teachers and a top tips guide for parents to help boost children's enjoyment of reading. The resources were developed to support the publication of the new ROGO Index. The Index was developed in 2017 following an in-depth literature review of national and international evidence on what it means to be a reader at age 11, and is based on a new tripartite model of reading well at age 11 developed by the coalition. The tripartite model asserts that a good reader at age 11 has strong cognitive skills (including phonics and decoding), affective processes (including high levels of reading enjoyment) and reading behaviours (including reading outside school on a daily basis). The ROGO Index measures how well 11-year-olds in England are reading across these three areas using data from the Department for Education, GL Assessment, Renaissance and the National Literacy Trust. The ROGO Index will be published annually.